Back to school shopping is upon us and the stores are full of notebooks, binders, pencils, backpacks and more! Of course, my favorite happens to be the lunch section. Like every other year, the kids and I headed to Target to see what's new in the land of lunch gear and buy a few things we just had to have. There was actually a LOT I had to have, but I contained myself. It's all about going back to school “healthy and happy” though, so new gear is always a must-do. We decided that a few items had to come home that very day. First up, we decided we had to have a few new containers for lunches. 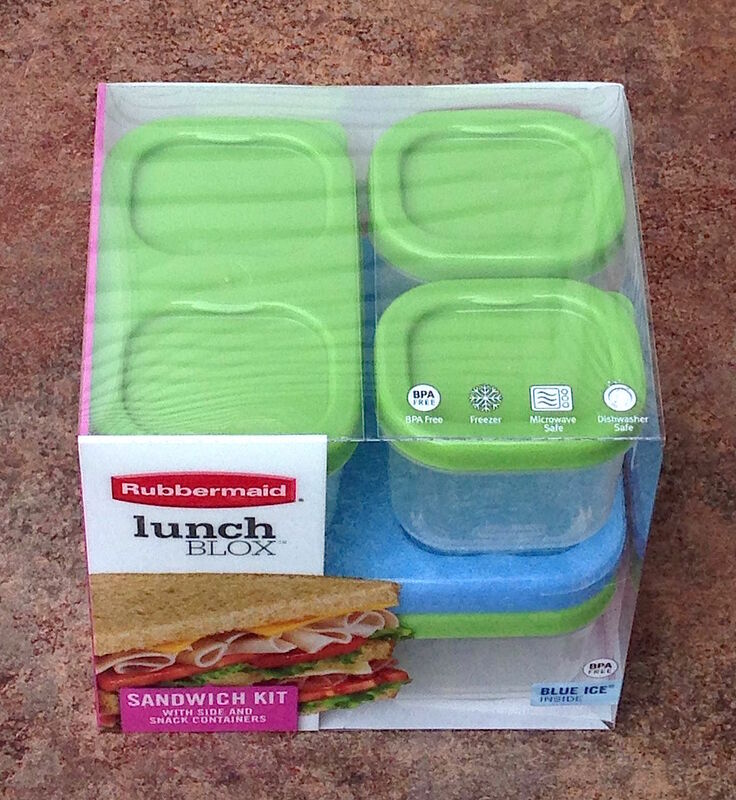 We really wanted another set of Lunch Blox since one isn't enough and I love the built-in icepack. You can configure the boxes with containers from the same sets, so you can do four small separate containers or a big with two mediums. It all depends on what you pack. I've also been intrigued by some of the Sistema containers, so we added a Sandwich box, the Snacks box, and the Small Split box. I really liked the separate layers in the Snacks box and the split option in the Small Split one. I don't own anything quite like those. If you noticed, we opted for more neutral colors and patterns on the boxes this year. It's easier when I can use boxes for any family member. We may or may not have needed more lunch bags, but I really did love these cooler bags from Embark (officially, they are the Dual Compartment Lunch Bags). The zippered upper part is perfect for separating breakable items from the rest of the lunch. The camo print was perfect for Ben and nothing says Faith quite like pink and zebra print. Of course, we also needed to restock PURELL® Advanced Hand Sanitizer. Quite simply, it is a necessity for lunch on the go. This year, we needed PURELL® Advanced Hand Sanitizer and PURELL® JELLY WRAP™ Carriers. The PURELL® JELLY WRAP™ Carriers are a must-have to attach to lunch bags and backpacks, while the individual spritz bottles of PURELL® Advanced Hand Sanitizer are great inside backpacks or lockers. We also needed to buy the to clean surfaces, since you never know what was there PURELL® Hand Sanitizing Wipes before you were! Lunch bag, containers, and PURELL®, all configured! We'll definitely be back at Target in the next few weeks to continue with our shopping expeditions. I was eyeing another lunch kit that we might have to add to our collection! Target has all of your PURELL® Advanced Hand Sanitizer and back-to-school needs – a one-stop shop for a busy family trying to relish the last few weeks of summer. Follow along with us for the next month as we try out the PURELL® 30-Day Challenge. During the PURELL 30-Day Challenge, families can help prepare for the upcoming winter-germ season by using PURELL Advanced Hand Sanitizer three times a day for 30 days. Practicing good hand hygiene is one the most important preventive measures you can take to reduce the spread of illness-causing germs, and PURELL Advanced Hand Sanitizer is committed to helping families stay well during not only during the start of the school year, but all year long as well. How will we do? Join me over on Facebook, Twitter, or Instagram to follow our progress. I've been using Sistema containers religiously. It's what my pantry is organised in. About the only thing I can say, is keep an eye on the seals. Sometimes they pop out and you need to gently press them back in. This can also happen sometimes if using a dishwasher. I love the small split box! It makes it so easy to pack two different things, in the one box. I normally end up pairing fruit with crackers.